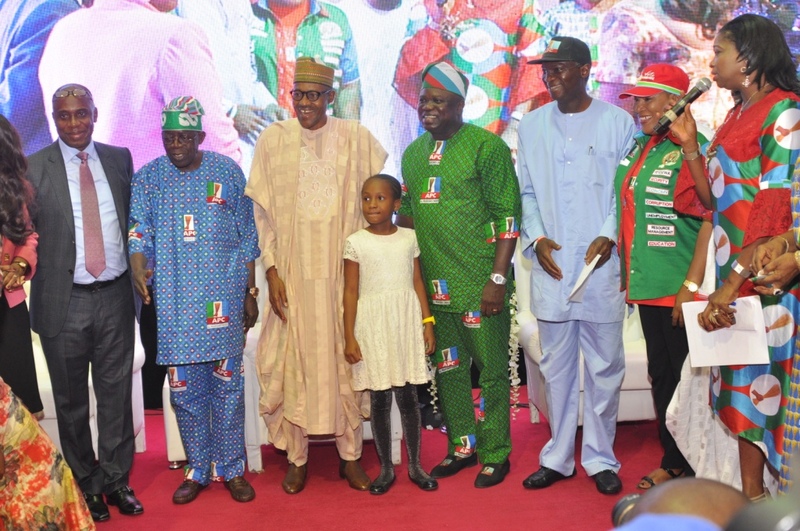 The All Progressives Congress (APC) governorship candidate for Lagos State, Akinwunmi Ambode, has congratulated the Party’s presidential candidate, General Muhammadu Buhari, on his victory in the Presidential Elections. He further pleaded for unity and peace amongst Nigerians and urged “all Nigerians irrespective of political affiliation to unite and deepen our democracy”. 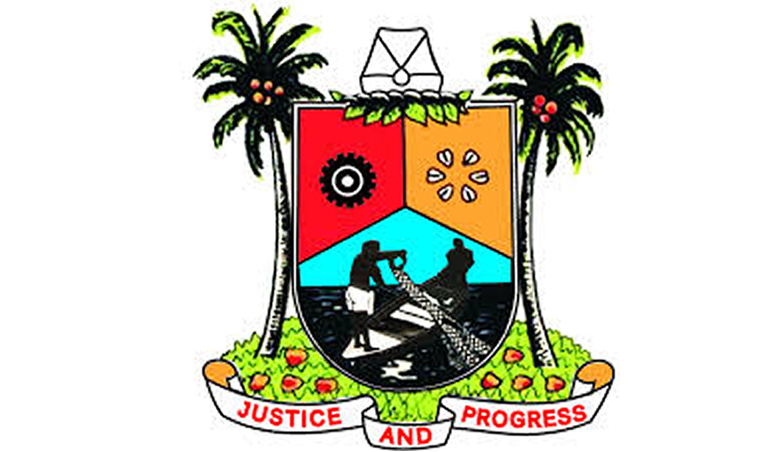 The All Progressives Congress (APC) in Lagos state recorded a convincing victory at the polling unit of its gubernatorial candidate, Mr. Akinwunmi Ambode. 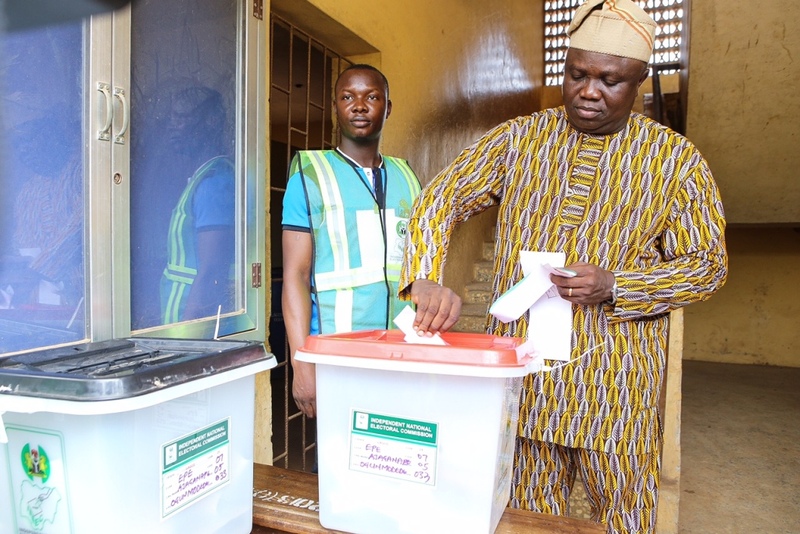 Ambode cast his vote in his Epe hometown at the Unit 33, Ward A5 polling centre located in Ogunmodede Secondary school, Papa Epe. The Epe electorates, inspired by the presence of the governorship candidate, gave the APC and its candidates a big win that saw the party poll an average 60% of the votes at the 3 levels contested. 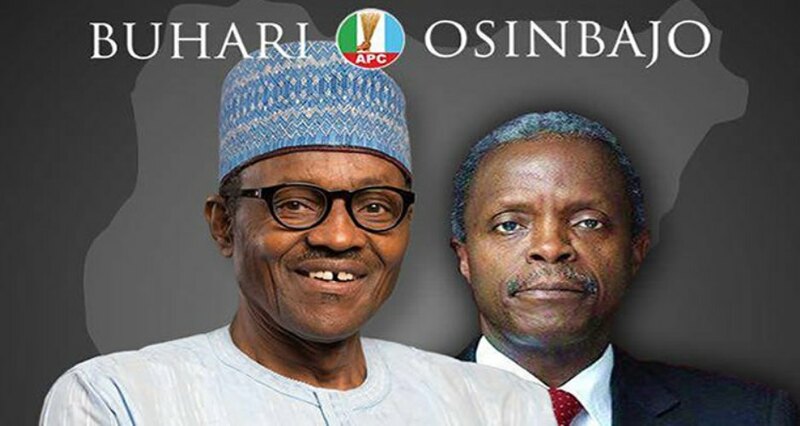 In the Presidential elections, out of a total 170 accredited voters in the booth, the APC Presidential candidate, General Muhammadu Buhari, amassed 97 votes as against the main opposition’s 71. The APC Senatorial candidate for Lagos East, Senator Gbenga Ashafa polled 103 votes to defeat the People’s Democratic Party’s 66 while Wale Raji, APC candidate for the Epe Federal Constituency in the House of Representatives secured 101 votes to cap off a sweeping victory. At the adjourning polling unit 57 under the same ward A5, the APC took two-thirds of the votes to march conveniently to victory. 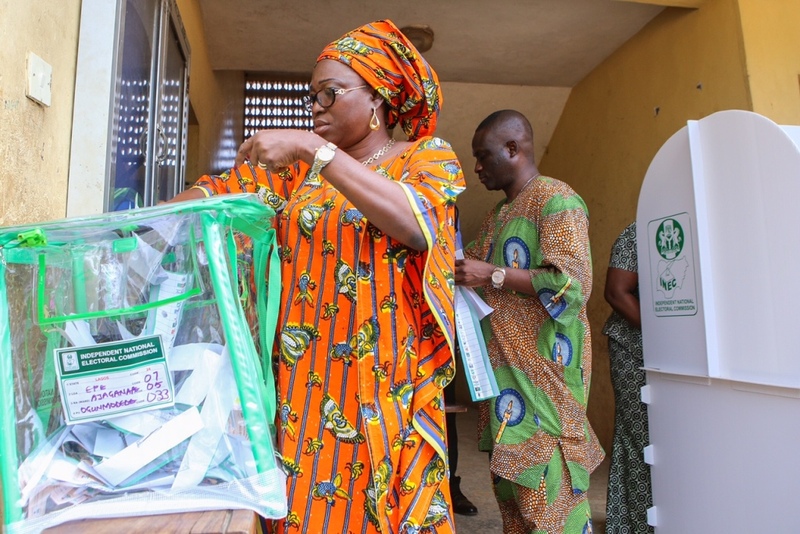 Similarly impressive results were recorded for the APC in the other wards and polling units in the division, a situation that sets the right tone in favour of the APC in the governorship and state House of Assembly elections coming up in two weeks. 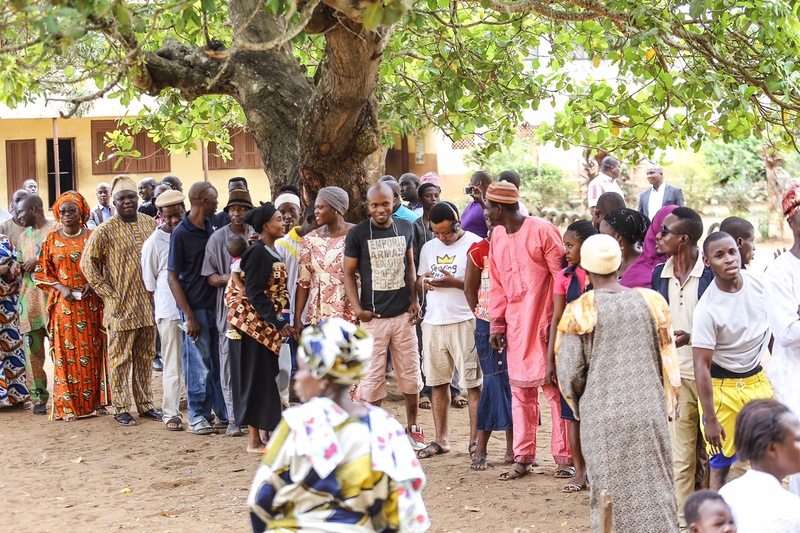 The election process at the polling zone and in most parts of the Epe division was peaceful and witnessed an encouraging turnout of the Epe people who had turned out as early as 7:30am to exercise their franchise for progressiveness as the results have shown. 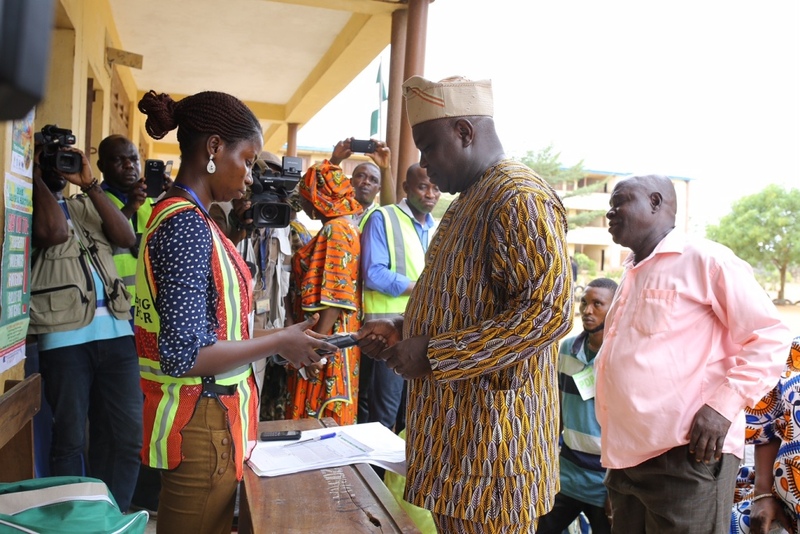 Mr. Ambode expressed delight at the encouraging turnout of the Epe electorates and the conduct of the elections at his polling unit. He stated his satisfaction with the performance of the card reader delight. 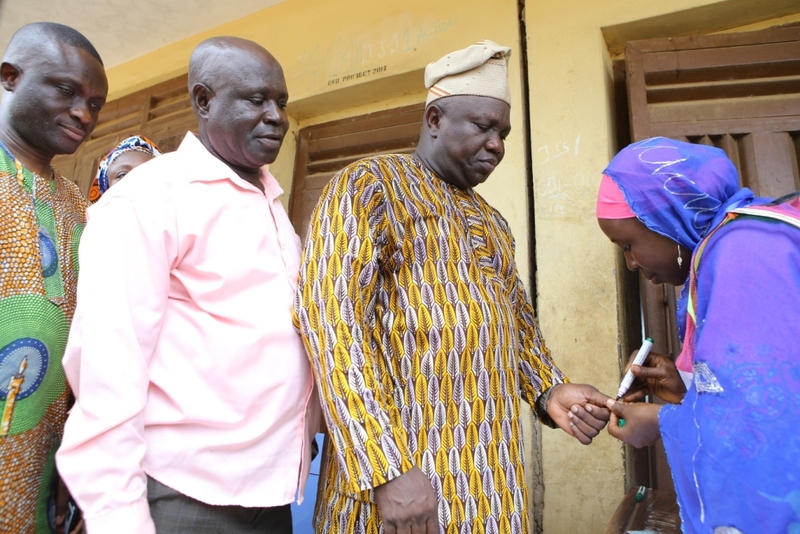 At exactly 2:44pm today, the governorship candidate, in company of his wife, Mrs. Bolanle Ambode, successfully cast his vote, after which he proceeded to engage with the press to state observations. 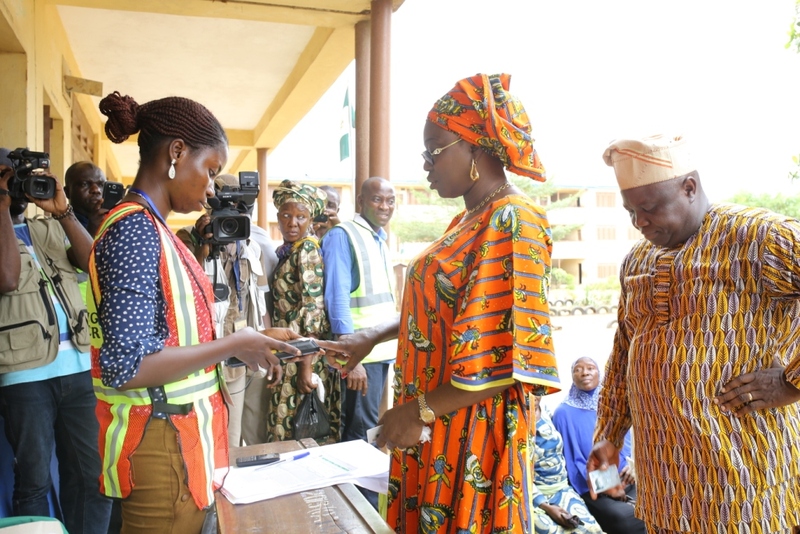 The process of accreditation had kicked off at the polling centre by 9:15 am, before voting commenced by 1:40pm. The seamless voting process lasted for more than two hours. 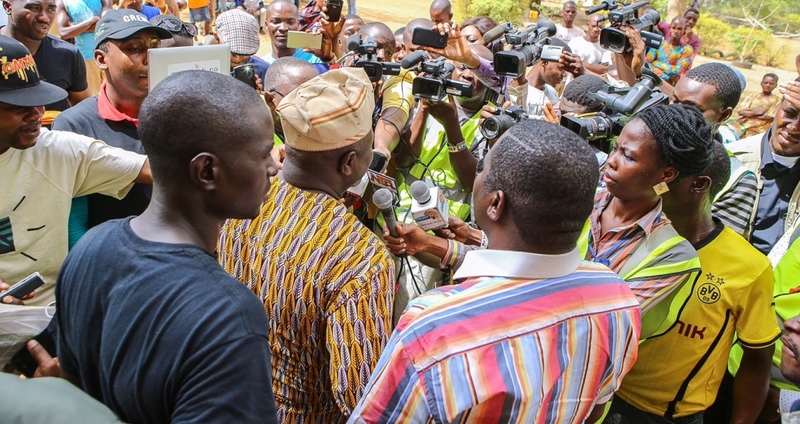 With reports of late arrival of INEC officials, polling materials, hitches experienced using the card reader and late commencement of accreditation in many polling units, Ambode urged the Independent National Electoral Commission (INEC) to seriously consider an extension of the time of voting in order to resolve these issues to avoide the disenfranchisement of many voters. 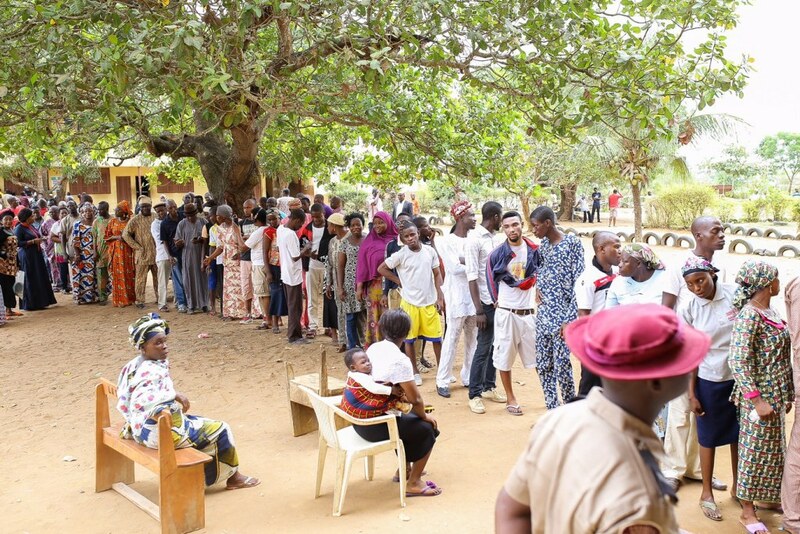 Notably, INEC has now announced that it has extended the voting period till tomorrow, Sunday, to accommodate disenfranchised voters and areas where materials arrived late. 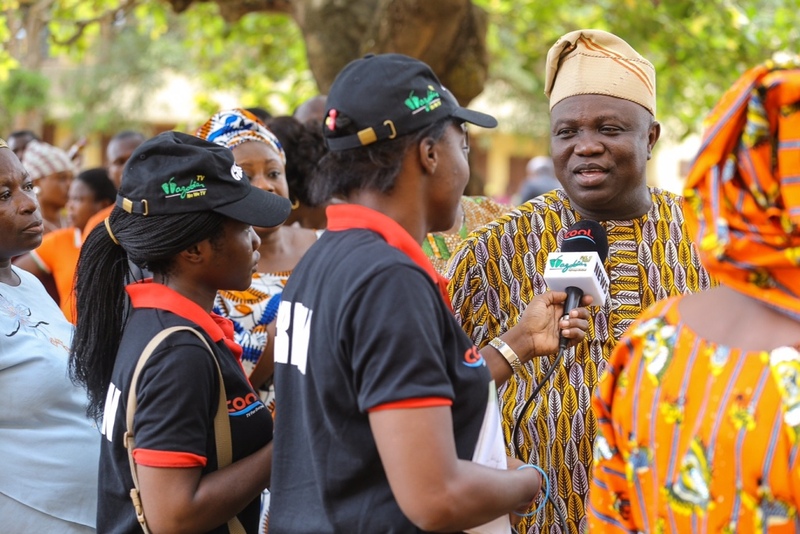 The All Progressives Congress (APC) governorship candidate in Lagos state, Akinwunmi Ambode, is presently at his Epe hometown partaking in the Presidential elections, particularly at his Ward A5 – Unit 33 Polling centre in Ogunmodede Secondary school, Papa Epe. 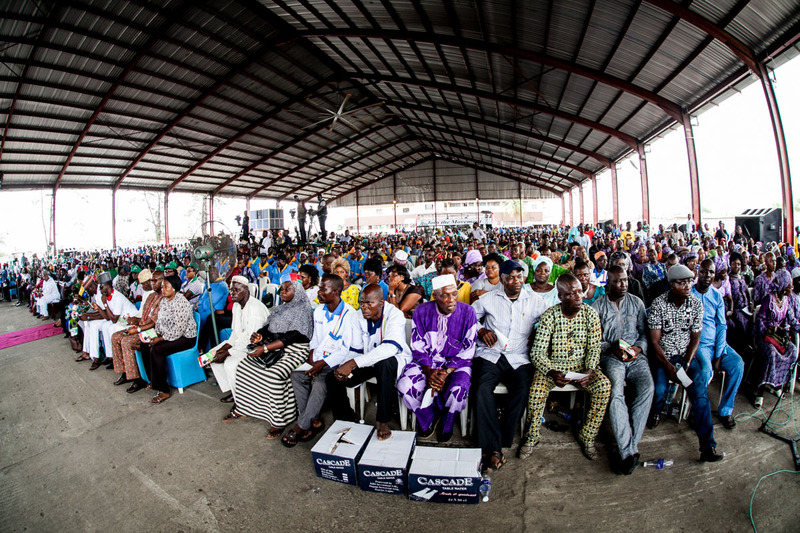 Akinwunmi Ambode and other leaders of the All Progressives Congress (APC) today met with members of the Nigerian Association of Tradesmen and Artisans in Lagos. 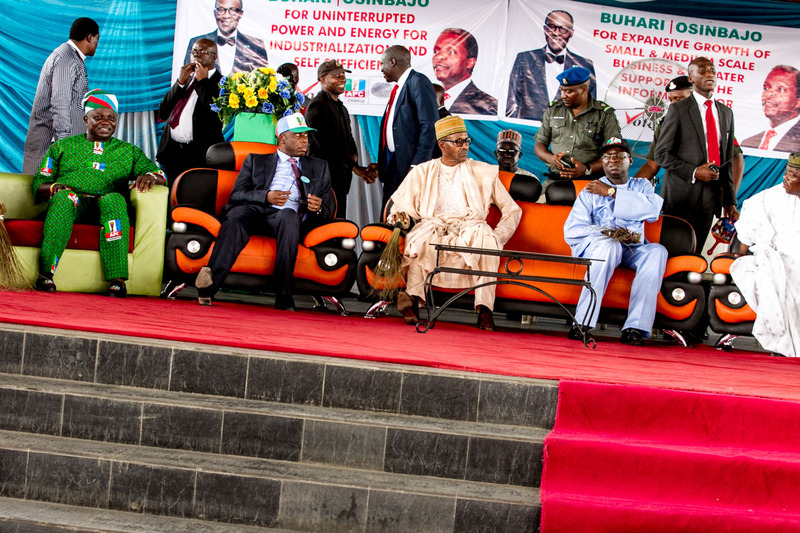 At the event which held at LTV 8 Blue Roof hall, the APC Presidential candidate, General Muhammadu Buhari, described the Tradesmen and Artisans as one of the main drivers of the nation’s economy, judging by the number of the people in the informal sector. “We recognize your constituency as part and parcel of the country’s economic development, and we are ready to give you full support to maximize the potential laden in this industry”, General Buhari said. He identified power as a major need to boost the operations of the groups and promised to tackle the power challenge to a fruitful end. “Our party will work assiduously to achieve uninterrupted power supply and energy to enable industrialization and self sufficiency for all of you. We also foresee expansive growth of small and medium scale businesses and greater support for the informal sector”, he added. On behalf of the party, General Buhari gave an assurance to improve on security and access to finance that will make the sector thrive better. He said there will be enough policy support and more capacity building programmes that will guarantee growth in the sector. 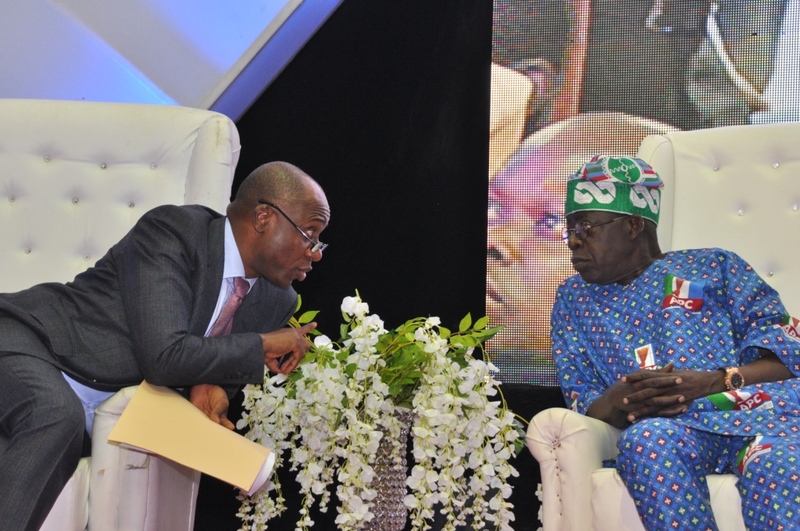 National Leader of the APC Asiwaju Bola Tinubu, on his part, told the people to get ready for “intelligent governance”, and urged them to vote for the APC at all levels in the forthcoming general elections. The Lagos State governor, Babatunde Raji Fashola expressed happiness and confidence that Akinwunmi Ambode, the state’s gubernatorial candidate, will sustain and improve upon the working relationship between the Lagos state government and the artisans and tradesmen in the state arm. He then enjoined them to work with the APC at all levels, especially by voting for General Buhari, in order to replicate the governance evident in the APC states across the whole country. The party promised the people renewed hope for the future and support during their interactive session. The All Progressives Congress (APC) governorship candidate in Lagos state, Mr. Akinwunmi Ambode, today joined the APC Leaders in a Town Hall meeting with the Nigerian women. 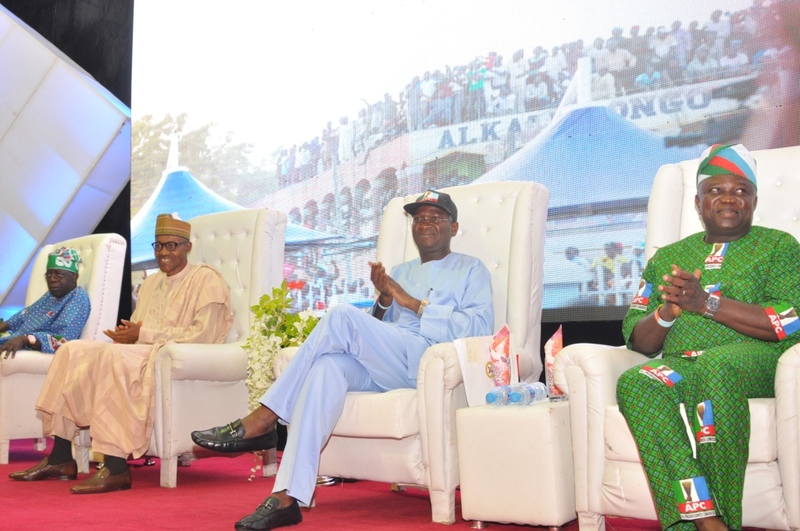 APC Presidential candidate, General Muhammadu Buhari, National leader, Asiwaju Bola Tinubu, Governor of Lagos state, Babatunde Fashola (SAN) and the Governor of Rivers State, Rotimi Amaechi actively took part in the interaction that focused on the roles and participation of women in governance in the country. In his opening address, Governor Fashola noted that women have always played an important role in the process of national development and that the APC is willing to implement policies meant to enable women maximize their roles and influence on nation building. General Buhari in his remarks said that the party is on mission to restore Nigeria’s fading glory and this could not be done without the women. He said there would be concerted efforts to empower women in every aspect of governance, adding that more will be done to protect their rights and varying interests. The women at this interactive session asked questions that bordered around the plans of the APC concerning abuse, women rights, better education, job creation, the future of their children, electricity, security, empowerment and general welfare. 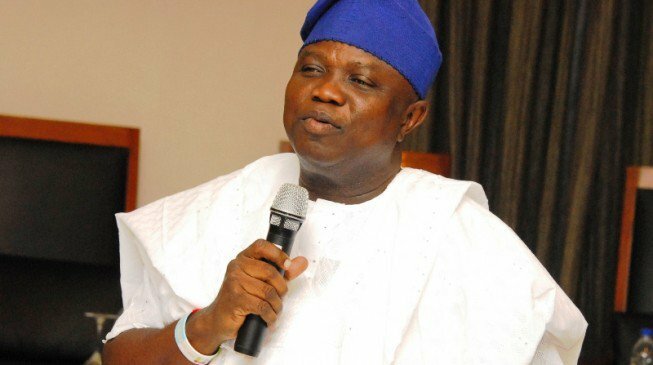 Akinwunmi Ambode in his response to one of the questions raised about harassment by some authorities said the APC in Lagos and in the nation as a whole will improve on the workings of its institutions and parastals in order to respect and accommodate the rights of every individual, male and female alike. After giving assuring responses to each of the questions raised, Asiwaju Bola Tinubu implored the women to vote wisely; to vote for a government that truly involves them as stakeholders in nation building and to use their position as influencers in favor of the movement for Change. 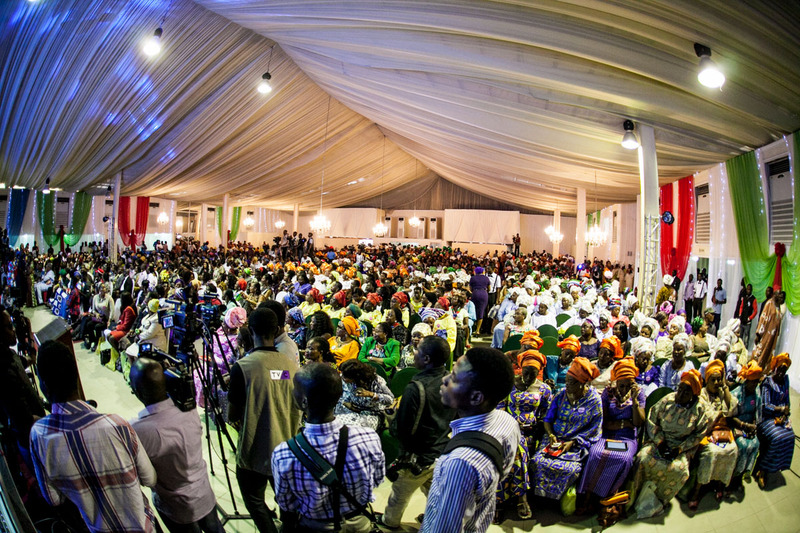 Women across the country, especially in the south-west zone, from professional bodies, civil society and human right groups, artisans, market women, corporate bodies, entertainment groups and other facets gathered at the Lagos venue of the interactive meeting to engage the APC leadership. Also present at the meeting were Senator Oluremi Tinubu (Lagos Central), Ambode’s running mate, Dr. (Mrs) Oluranti Adebule, and other prominent Nigerian women.